The difference between a fishermen who has occasionally successful fishing trips and an angler who routinely reels in big fish is more than a matter of luck. What seperates the two is knowledge and skill. While honing your skills on the water is by far the best method to improve, not everyone has the patience and time to spend years developing their fishing techniques. 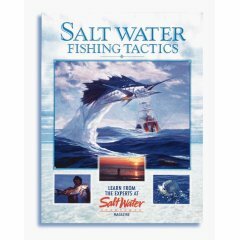 A far quicker and more effective method to dramatically increase the quantity, size, and frequency of you catches is to gain the required knowledge is through books on fishing tactics and techniques. We've assembled some of the most respected and authoritative fishing books ever published below. Each fishing book contains lifetimes of knowledge that can really make an immediate improvement on your next fishing trip. Understanding what you know, accepting what you don't know, and a willingness to actively pursue more knowledge is the real secret in every successful angler's tacklebox. Whether you are new to seamanship and saltwater boating, or you are just looking to get into a larger boat, being a good captain and understanding your vessel's capabilites is crucial. Good decision making on the open water is simply a matter of life and death, and only experienced and educated captains are truely capable of making informed decisions. 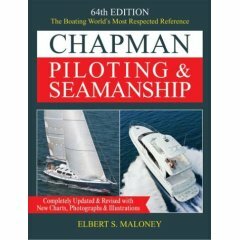 While there is no replacement for boating experience, good piloting and boating books are the perfect place to start. Before you climb aboard your next boat, take the time to be responsible and do a little reading. What you learn may just help you and your crew return to your families some day. In addition to our recommended boating and fishing books, below are a few other books on North Carolina's coast you will find worth reading.